M. Carey Thomas sits at a desk, a book open in front of her. She leans forward, resting her head on her hand, gazing thoughtfully to the left. "Portrait of M. Carey Thomas." Photo Archives, Special Collections Department, Bryn Mawr College Library. 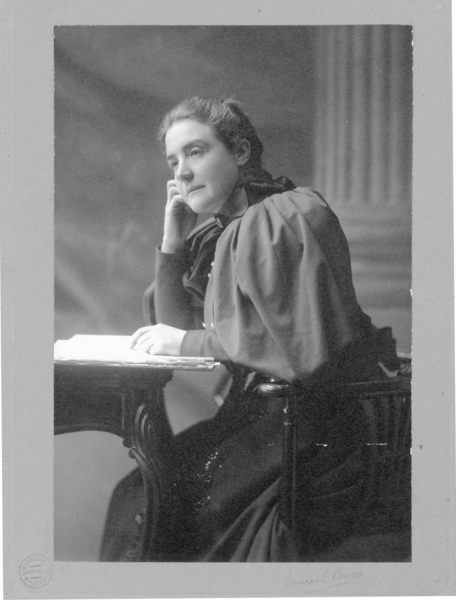 “Portrait of M. Carey Thomas,” The Albert M. Greenfield Digital Center for the History of Women's Education, accessed April 18, 2019, http://greenfield.brynmawr.edu/items/show/467.